The story of the kidnapping of 16-year-old John Paul Getty III, and the desperate attempt by his devoted mother to convince his billionaire grandfather, Jean Paul Getty, to pay the ransom. One has to admire the work ethic of Ridley Scott. He’s 80 years old and still making enormous studio movies every year or two. 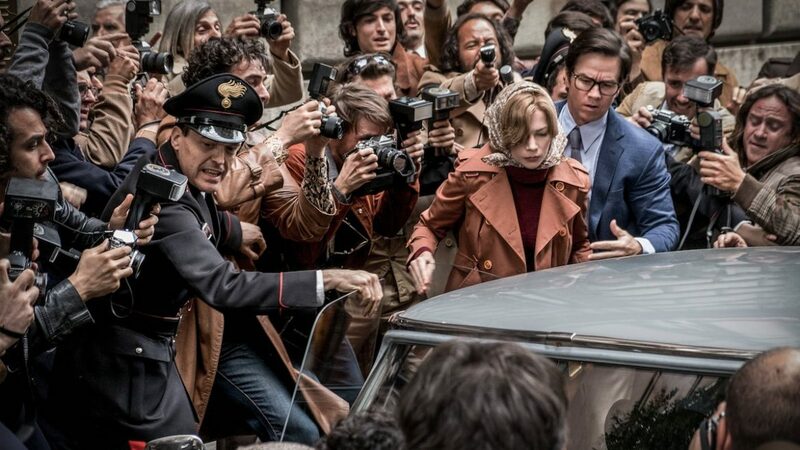 Even more impressive, All the Money in the World underwent extensive reshoots in the month before its premiere, following allegations of sexual misconduct by star Kevin Spacey. Scott decided to recast Spacey’s role of J. Paul Getty with Christopher Plummer, who was subsequently nominated for an Academy Award, Golden Globe, and BAFTA. 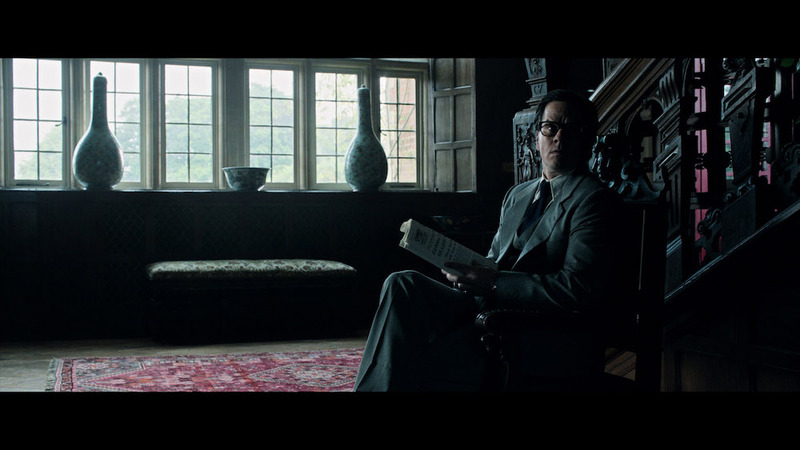 Behind-the-scenes drama and intrigue has overshadowed All the Money in the World, although one could argue ‘no publicity is bad publicity’ and it helped the movie gain more attention — even if trying to spot a difference with Plummer’s scenes is frankly impossible. Mark Wahlberg and Michelle Williams were both asked back to reshoot scenes with Plummer they’d done with Spacey, but you’d never know it. Although that itself caused further controversy because Wahlberg was paid $1.5 million to come back, whereas Williams (who has the bigger role) received a measly $800 because her contract obliged her to return for reshoots. Wahlberg then donated his extortionate fee to the Time’s Up movement fighting for gender equality, but one wonders if he’d have done that during a less politically sensitive moment in time. Whatever might have happened, Wahlberg’s was still paid $5 million (80% less than his usual fee), while Williams only received $625,000. 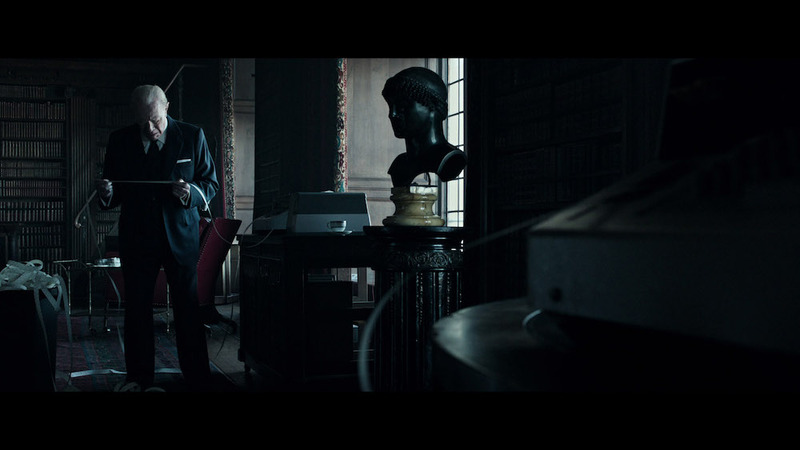 Regardless of the filmmaking politics and sexist contractual wrangling, All the Money in the World became a big talking point for all the wrong reasons before its release, and yet it only clawed back $53.9m from a $50m production budget. 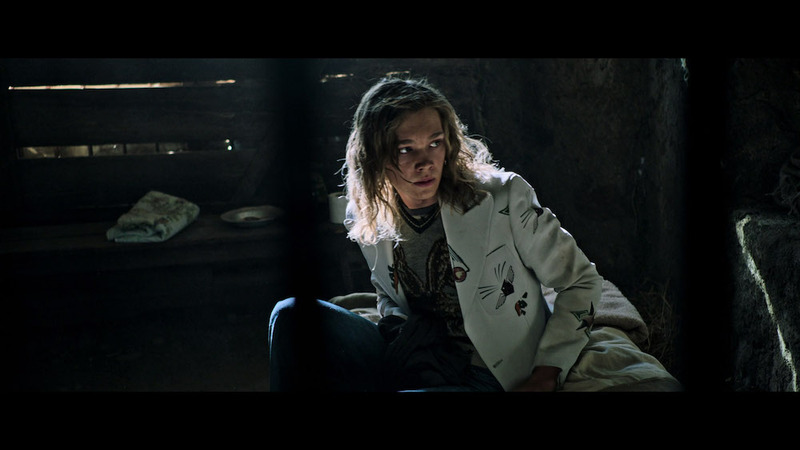 The movie itself is a dramatisation of a real-life event from 1973, when John Paul Getty III (Charlie Plummer), the 16-year-old grandson of oil tycoon J. Paul Getty (Christopher Plummer), was kidnapped by Mafia group ‘Ndrangheta and held for ransom in a remote Italian house. Paul’s mother, Gaul Harris (Michelle Williams) goes out of her mind with worry, enlisting the help of former CIA man Fletcher Chace (Mark Wahlberg) to help get her son back safely, but the shock of the tale is that the elder Getty refuses to give into the kidnapper’s demands. This, despite then being the richest man in the world. And as the film keeps reminding us in various ways, Getty’s refusal isn’t because he wants to play hardball with his grandson’s kidnappers, or refuses to be cowed by foreign criminals, it’s really because he’s a greedy old man who values antiquities over people. He may have a point that not paying will discourage other attempts to kidnap members of the Getty family, but the movie is full of moments when any sane person would pay the $17m ransom, whereas Getty is seen buying expensive art he doesn’t really like, or planning extravagant new homes, that make the ransom for his own flesh and blood’s wellbeing look like loose change. Unfortunately, there isn’t much more to All the Money in the World once you realise we’re dealing with a heartless fat cat. 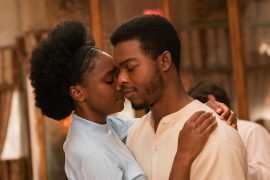 That “twist” is already known to history and revealed in the trailer, so you spend a lot of this movie looking for other emotional attachments. It helps that Williams is fantastic in this role as a worried mother dealing with a terrible ex-father-in-law, and there are some dramatic moments with the kidnappers along the way (particularly when they decide to send a part of Paul back to the Getty family after they refuse to accept their demands), but much of the film feels cold and functional. Ridley Scott makes handsome movies containing great compositions that are beautifully lit, plus fantastic location shooting, but it’s surprisingly run-of-the-mill. The script by David Scarpa (based on John Pearson’s book Painfully Rich: The Outrageous Fortunes and Misfortunes of the Heirs of J. Paul Getty) just seems very formulaic. Scarpa has limited credentials, with his most notable script being a forgettable remake of The Day the Earth Stood Still (2008), and there’s certainly something about All the Money in the World that feels like Scott and the cast are doing some heavy lifting. The movie is also 133 minutes long, with a middle section that’s noticeably repetitive. It’s a common complaint, but considering how simple the story here is, a snappier 100-minutes would have fit the material better. However, Williams is excellent and deserved more accolades than she received (perhaps because the project was hijacked by the Spacey/Plummer intrigue), while Wahlberg is merely functional in another of his straight roles where he seems to play the same character. 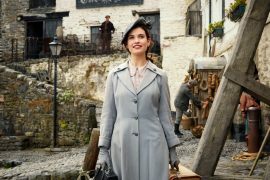 88-year-old Plummer does a remarkable job considering he was flown in at the eleventh hour, to take on this part and complete all his scenes in just a few weeks, but his performance isn’t anything special. The amount of recognition he got for playing Getty seems partly driven by public knowledge about the tall order being asked of him, or the desire of some to see Plummer become the oldest Oscar nominee in history. It just makes it seem even more ludicrous Williams wasn’t praised an equal amount, for playing a far more nuanced and layered character who really holds the drama together. Another typically great release from Sony, who deliver a 1080p 2.40:1 image that’s resplendent with fine detailing and deep blacks. Colour saturation is wonderful and there’s a visible crispness to the image that brings the 1970s decor and outside environments to life. And, what with this being a Ridley Scott movie shot by Dariusz Wolski (The Martian, Alien: Covenant), there’s always something gorgeous to appreciate on screen. Similarly impressive is the DTS-HD Master Audio 5.1 sound mix, which delivers atmospheric details, terrific low end noise, and some enjoyable surround sound effects (like buzzing insects, crowds, gunfire). Deleted Scenes: (1080p, 6:52): Moments left on the cutting room floor include “Overdue Bill”, “Load the Car for Rome”, “Welcome to Your New Apartment, “It’s All Business to Them”, “He Said He Was Safe”, “What Do You Want?”, “No Mail Today”, “Signora” and “No Petrol”. Ridley Scott: Crafting a Historical Thriller: (1080p, 9:11) A featurette on the making of the film, focusing on the cast working with the legendary director, the true story behind the film, performances, costumes, cinematography, score, costumes, and everything else. Hostages to Fortune – The Cast: (1080p, 9:32) A look at the real life event this film dramatises, including a look at the real people involved in the kidnapping. 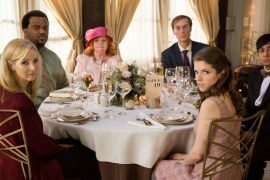 Recast, Reshot, Reclaimed: (1080p, 4:55) You might expect the extras to avoid the elephant in the room known as Kevin Spacey’s recasting, but it’s arguably become something of more interest to people than the actual film. This featurette looks at the challenge of redoing Spacey’s scenes with Plummer, with some comments from the rest of the cast involved in this unexpected last-minute change. writer: David Scarpa (based on the book ‘Painfully Rich: The Outrageous Fortunes and Misfortunes of the Heirs of J. Paul Getty’ by John Pearson). 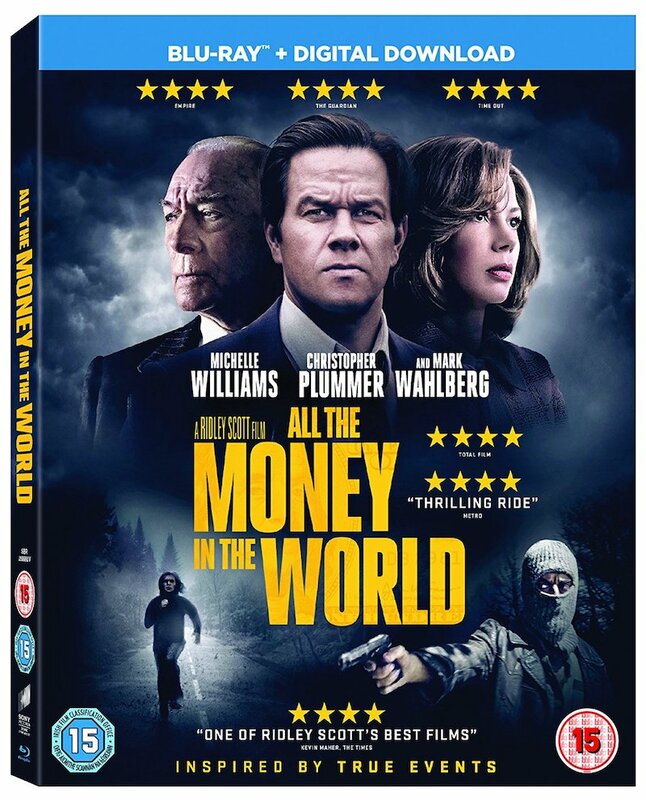 starring: Michelle Williams, Christopher Plummer, Mark Wahlberg, Romain Duris, Charlie Plummer & Andrew Buchan.